Braber Equipment was founded in 1969 by Bill Braber in Abbotsford, British Columbia after immigrating from Holland with his young family. Bill returned to Holland each year to purchase farm equipment to be sold to dealers in British Columbia. A vacant lot next to the family home was used as the original storage facility, and the parts department was located under the pool table in the basement of the family home. 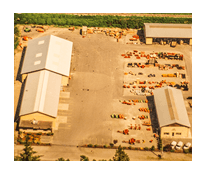 Braber Equipment grew quickly in the years that followed, as Bill's focus on quality, service, and support became the pillars that drove the business forward. In 1991, Bill's son, Nick Braber, the co-owner of Braber Equipment created BE Pressure Supply to manufacture pressure washers to be sold to the agriculture dealers. Nick already had experience with pressure washers 20 years prior, selling them out of the back of his pick-up truck during high school to raise money to purchase the Braber Equipment site (shown in the photo above). 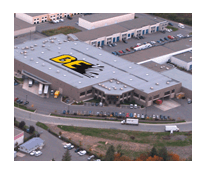 Building upon the same values and starting with one unit at a time, they created a reputation for high-quality and reliable pressure washers, quickly becoming Canada's largest manufacturer of pressure washers. Under Nick's leadership, Be Power Equipment grew to four global manufacturing facilities. 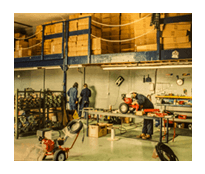 Today, BE Power Equipment is a leading global manufacturer of Pressure washers, Air Compressors, Power generators, Water Pumps, Log Splitters, and Forced Air Heaters serving the industrial markets in over 30 countries. Third generation owner Curtis Braber continues to build on the values instilled from the previous generations along with an engaged team, continuing the development and growth of the BE brand. With this strong team, BE is focused on designing quality products and delivering exceptional service while working to stay as innovative in the future as we have been for the past twenty-five years. It is this family driven philosophy that has allowed BE to grow as an independent company in an industry that has seen mass consolidation in recent years. BE is proud to be the strong, independent option for a dealer-focused market while delivering high quality products into the hands of the user.